Maa Bhagwati is the inherent dynamic energy through which this supreme consciousness manifests itself. Her blessings are needed to negotiate the rough course of life. She reigns as the Mother Goddess. Through all her forms, she encompasses the essence of salvation and sacrifice. She is the embodiment of purity, knowledge, truth and self-realization. The highest form of truth present in any being or Jiva is known as "Atman" or supreme consciousness. 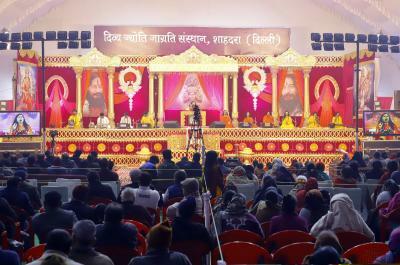 Recently, Divya Jyoti Jagrati Sansthan organised Shrimad Devi Bhagwat Katha in Jaipur, Rajasthan from 5th-11th September, 2018. 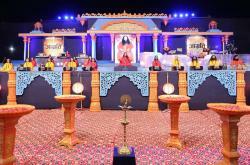 The transcendental bhajans filled the atmosphere with mystical emotions. 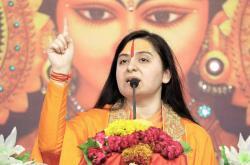 The orator of the program, Sadhvi Aditi Bharti Ji (disciple of Shri Ashutosh Maharaj Ji) explained to the masses that Maa Bhagwati incarnated in the form of Shakti, which means power and she is worshipped for her cordial as well as frightening aspects. She is also called Divine Mother, protects mankind from evil and misery by destroying evil forces such as selfishness, jealousy, prejudice, hatred, anger, and ego. Goddess Durga killed the demon Mahisasura, thereby protecting mankind. 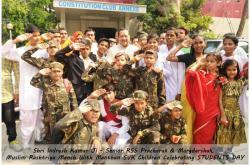 When evil forces create imbalance; Gods unite together and become one divine force known as Durga ‘Shakti’. 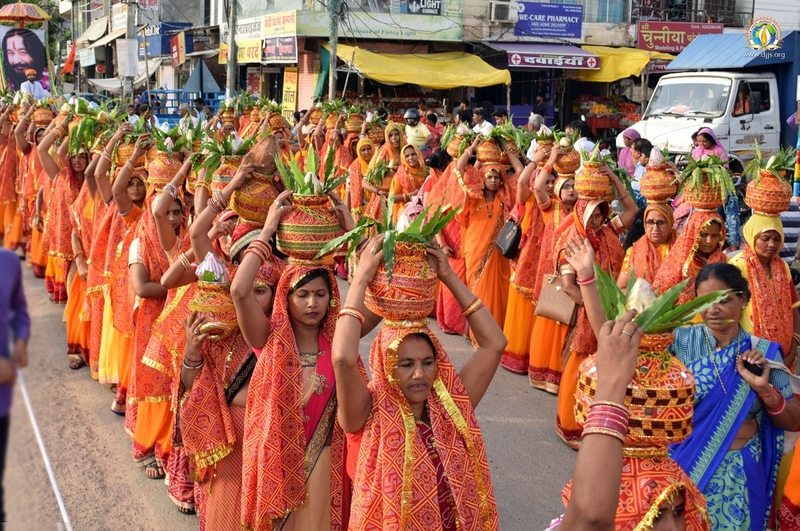 The worship of Maa Shakti emphasizes at the need to know and realize the true nature of Devi which is Shakti and is present in its elemental form within all of us but is lying dormant. 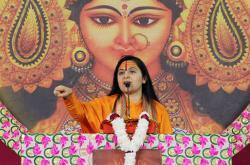 Sadhvi Ji narrated various stories from scriptures of such spiritually enlightened women. The eternal science of self-realisation is a proven technique to empower a human being at all fields pertaining to them. Spiritual techniques are an overall nurturer, it also provides them strength, concentration and perseverance to perform their multiple roles with great poise and compassion. Divine Knowledge - eternal science of Brahm Gyan which is an eternal technique through which one can practically experience and realize God. Regular practice of sadhana strengthens a person internally and helps to face all problems of life. 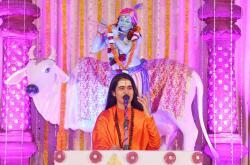 Thus, one who gains a transcendental state in sadhana comes back as a celestial Yogi. Thus, by connecting to inner self one can enlighten the whole world and no longer needs to stay a victim. 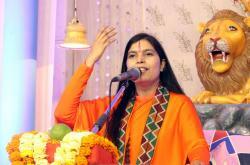 Sadhvi Ji also encouraged the masses to realize the impact of ‘Divine Knowledge’ or ‘Brahm Gyan’ recited in the bhajans. 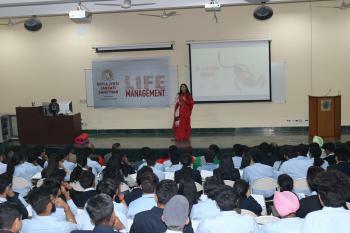 It invited them to experience the role of Brahm Gyan in life. The divine magic, after immersing oneself deep into the ocean of Brahm Gyan, can definitely be felt and its huge positive impact sets the very foundation of change in the world. 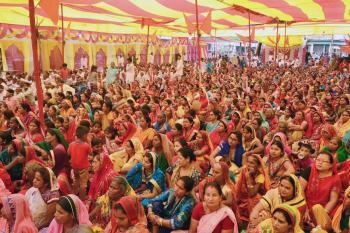 Thousands of devotees reached at the event and gained the insightful thoughts. 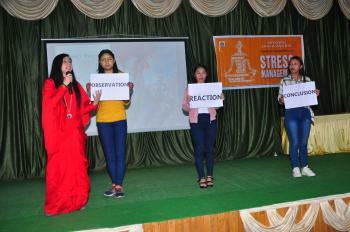 They were mesmerized by the devotional songs soaked in divinity and were indebted after listening to the valuable message of Bhakti and Shakti. 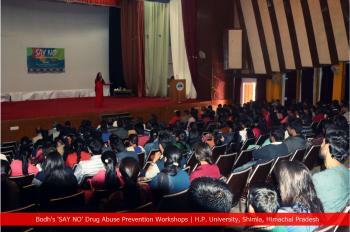 The program successfully served its purpose. Enlightening with insightful thoughts made the people realize the God’s power within and inspired them to live the spiritual journey in their life.